If I were to tell you in January that both Gus Hansen and Tom “durrrr” Dwan would be down over $12 million collectively in 2009 you would have thought I was crazy. One of them down, sure, but both, no way! 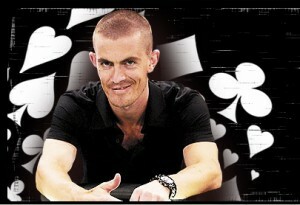 According to highstakesdb.com Gus Hansen is down $5.78 million for the year: And Tom “durrrr” Dwan is down $6.64 million! Gus’s struggles are not unheard of, the Full Tilt Poker pro is known for his seven-figure swings: However, durrrr’s struggles are a new phenomenon for the young poker superstar. Yes, Dwan has seen some big losses at the nosebleed limits, but never for this period of time. Dwan started the year on a horrid losing streak, but seemed to have righted the ship over the last few months, getting back to even. However, when the latest high-stakes player, Isildur1, showed up at the table, Dwan not only lost all of his recent winnings, but even more on top of it. This entry was posted on Tuesday, November 24th, 2009 at 2:08 pm and is filed under Poker News. You can follow any responses to this entry through the RSS 2.0 feed. You can leave a response, or trackback from your own site.